Is it possible to grow your family and a business without sacrificing either? And if so, where does the balance lie between them? Michelle Niziol is the CEO of IMS Property Group, was a contestant on BBC’s The Apprentice in 2016, and is a working mother expecting her second child. In this article she shares five key lessons she’s learned while growing a family and a business simultaneously. You’ve got a successful business and a beautiful family, but you’re thinking of having another child. One child has been more than enough to turn your world upside down, but two? It can seem almost impossible. I was once where you are now. The owner of a very successful business, a beautiful child, but I wanted another. How in the world was I planning on making this work? I think there is a lot of rhetoric about how women can’t have it all. But to tell you the truth, I’ve never met a woman who couldn’t achieve anything she set her mind to. Growing your family and your business are both difficult things but doing them simultaneously is certainly possible, if challenging at times. 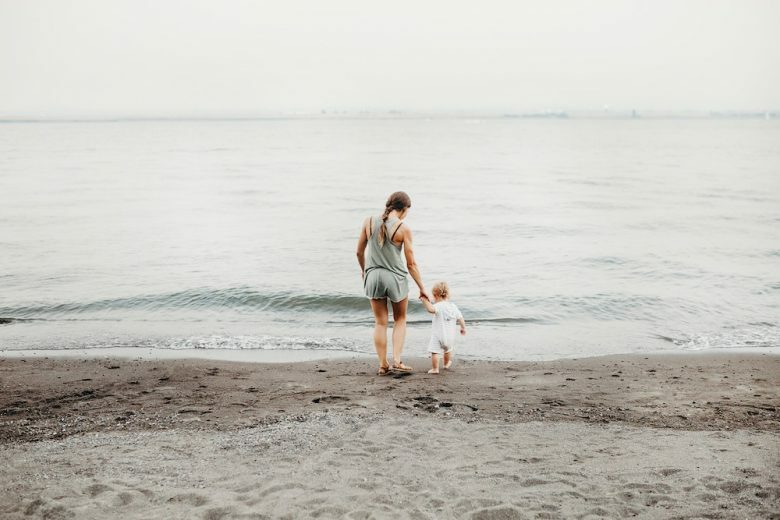 In my years as an entrepreneur and a mother, here are five key lessons I’ve learned (sometimes the hard way) about how to run a successful business while growing a family. Charles Swindoll once said that “Life is 10% what happens to me, and 90% how I react to it.” This tenant holds true both in business and in life. If you don’t believe you can do it, you’ve created a self-fulfilling prophecy. You’ve got to believe with every fibre of your being that you can have multiple children and running a successful business. The thing about high standards is that even if you don’t reach the standard you’ve set, you’ve still pushed yourself harder than you would have if you never tried. Focus on what makes you fabulous and unique, and this will give you the drive to keep pushing even when things get tough. Flexibility is key. If you’re happy, it’s amazing what you can achieve. I went back to work just two weeks after having my son, but I still saw him all the time because I worked flexibly. You must do what’s right for you. If you’re feeling guilty, then you haven’t got the balance right. I’m having my second child soon, and I’ve treated this pregnancy the very same way and working the same hours as I’ve always done. My body is used to doing what I do, so there seems to be no need to stop or get stressed. It’s all about keeping that healthy balance. It’s an attitude that I try to cultivate in my staff as well. I don’t put my business or my family first unless there is an emergency, and drawing that boundary works very well. I find that when I look at the big picture and try to see my life as a whole, I can enjoy every part of it. You simply cannot do everything. One of the secrets to happiness with a successful, full on career and multiple children, is to delegate. Ask your partner to help you at home by going to that football game or ballet recital if you can’t attend. Ask your employees at work to do tasks you would normally do yourself, and to push beyond what they are expected to complete each day. Delegating and leaning on the support teams you have around you, can make things far more manageable. Odds are, if you’re an entrepreneur, you love what you do. However, there’s been so much talk about balancing work and home life that a lot of people feel guilty if they’re not nose-to-the-grindstone all day. If you’re going to be a working mother of two or more, you’ll need to integrate your work and home lives. I start work between 4:00-5:00 AM every day and work through until about 11:00 PM. I have a son who is nearly five, so I’m always on hand in the morning to get him ready for school. When it’s time to collect him, I stop work for a bit and do homework, cook dinner, spend time with him and then get back to work at about 6:00 PM. Because I’ve integrated my home and work lives, I have the best of both worlds. I love being a mum and I love running a business. Allow yourself to immerse fully in both your family and your business. Make sure you see each of your children individually and spend quality time with them. Even if it’s just 20 minutes a day, it makes such a difference. By the same token, set aside time to seek out new business. You’d be shocked at how many new leads and new clients can be generated by just 20 minutes of extra work per day. I’ll be the first to say that working motherhood comes with challenges. But when you step back and allow yourself to be honest about what you really want, you can breakdown those challenges and work to achieve what you want to. IMS Property can help with sales, lettings, mortgage advice, and property investment. You can get in touch with them by email.